"We'd like to make life a little sweeter for you!" 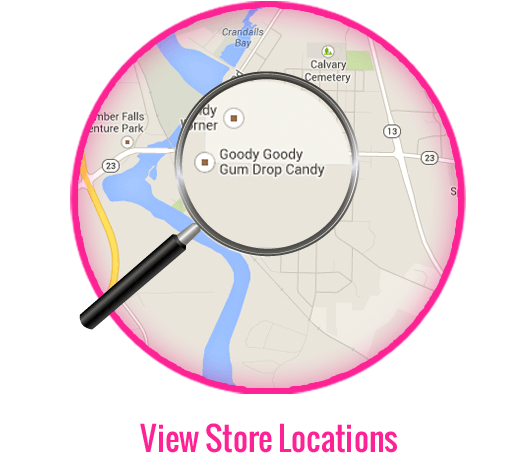 Being around since 1975, Goody Goody Gumdrop and its 1,000 different kinds of candy, is the largest candy store in Wisconsin. With three locations, finding that gift for the sweet tooth in the family should be no problem! 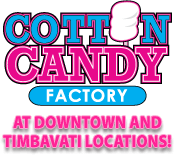 We invite you to sample and take home fantastic homemade fudge, hand dipped chocolates, truffles, caramels, nut clusters, caramel apples, saltwatertaffy, sugarfree candies and chocolates, Jelly Bellys, ice cream, yogurt, soda, hard candies, gummies, rock candy, lollipops, popcorn, espresso, gourmet coffees and more. Order your Christmas candy too, We mail anywhere!